Published on January 20, 2009	in 2009 and Mirakli. 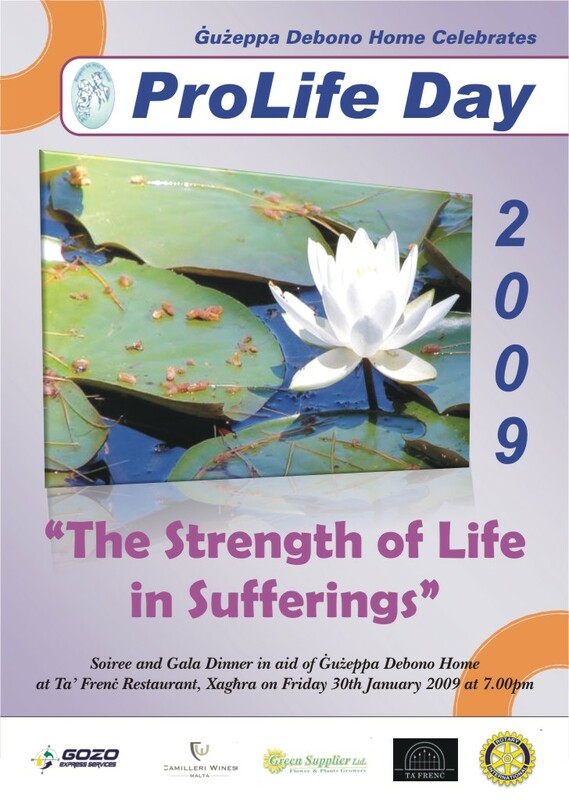 Gozo will be the venue of Pro-Life Day 2009 to be celebrated for the first time on Friday 30th January 2009. This is going to be launched by Guzeppa Debono Home and a Soiree will be organized at Ta’ Frenc Restaurant. It will include a sumptuous 4-course Gala Dinner prepared by the renowned chefs at Ta’ Frenc, an auction of paintings by the young Gozitan artist Christopher Saliba and also on site paintings by the same artist. Pieces of sculpture by another Gozitan artist, Victor Agius will also be auctioned. There will be time for instrumental music provided by various well known local musicians that will add to the magic of the Soiree.